Aerial view of S.M.A.R.T Terminal. San Marcos City Council delayed a decision to vote Feb. 21 on an economic incentive agreement for the potential development of a heavy industrial park. The S.M.A.R.T Terminal will be a heavy industrial area with a railway to deliver manufactured products from the site to potential buyers. The first tenant of the terminal will be Katerra, a technology-driven offsite construction company. The council delayed any action during its public meeting Feb. 21 in order to develop an agreement with S.M.A.R.T terminal developer Mike Schroeder to eliminate certain production uses on the new site. Councilman Ed Mihalkanin said city staff has compiled a comprehensive list stating what will not be allowed in the industrial park. Mihalkanin also said he proposed for city government to take a percentage of the increased property tax income and put it in a fund for proper drainage efforts within the proposed development site. During the citizen comment period of the council meeting, San Marcos residents voiced concerns about the potential development of the S.M.A.R.T Terminal. Frank Perod, who moved to San Marcos in 1975, said the beneficial reasons for the S.M.A.R.T terminal development are incorrect. David Sergi, who works with Smarter San Marcos, a citizen group formed in opposition to the S.M.A.R.T. Terminal as currently proposed, said the terminal may not fit with the San Marcos comprehensive plan. 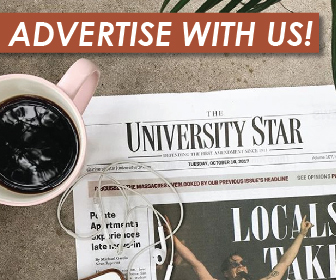 The University Star will continue to update information on the S.M.A.R.T. Terminal as it becomes available.